It’s a great privilege to be present at the beginning of a long term personal and professional relationship. 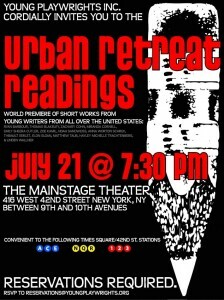 In the summer of 2012, I was one of the staff dramaturgs working with Young Playwrights, Inc. (YPI)’s Urban Retreat program in New York City when participating high school writers Miranda Cornell from Brooklyn met Zoe Kamil from San Francisco. 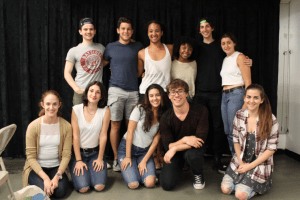 In this nine-day intensive summer program for young people aged 14-21, I was paired with Cornell to dramaturg the short play she generated during the program. The program (currently on hiatus) builds artists, and in Kamil and Cornell it built mentors who are in turn creating opportunities for other theater makers who are barely voting age. 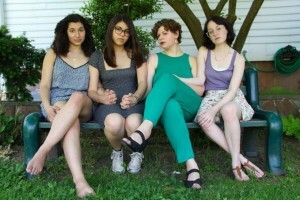 We recently reconnected by phone to discuss their original collaboration, their latest producing experiences including their 2016 Fringe show#BLESSED (pronounce it “hashtag blessed”) and what lies ahead. “We sort of clicked right away, on the same plane artistically and as people,” recalled Kamil about their first meeting at the Urban Retreat program. Kamil’s then-new interest in playwriting was validated. “Everybody made me feel like it was something I could do and that I should be doing.” Kamil returned to her San Francisco private high school’s strong theater department, ready to work. 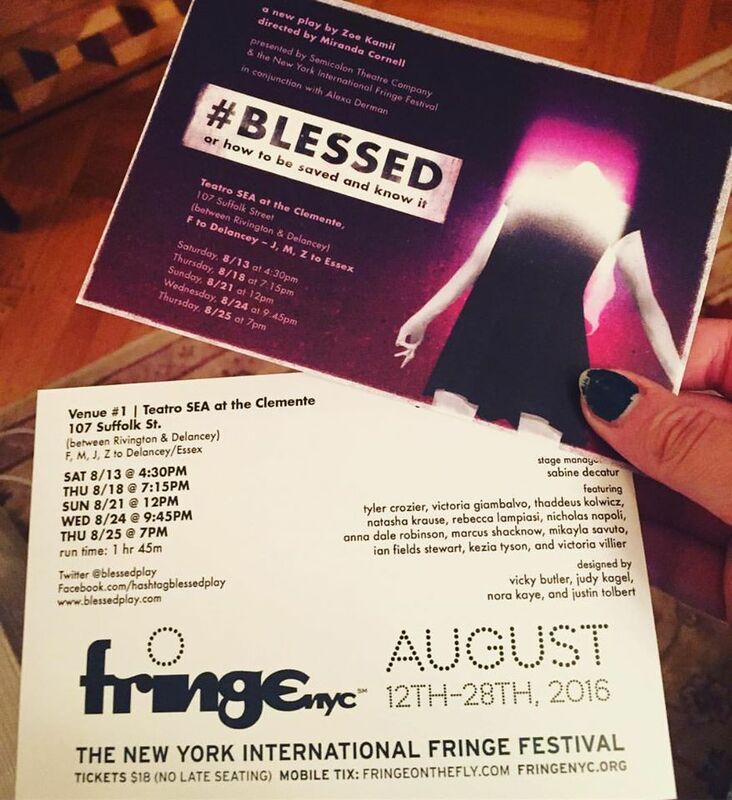 Now, four years after they first met, Miranda is beginning her sophomore year at Vassar College, Zoe is beginning her junior year at Marymount Manhattan College, and they staged Kamil’s play #BLESSED at the 2016 New York Fringe Festival, with Cornell serving as the youngest director in Fringe history. All production personnel were 21 and under at the time of hire, and were 90 percent female, with one male-identifying person on the team. Cornell and Kamil know that when their schedules permit they’ll go back into the play with things they’ve learned with this cast and these performances. “I’m not done,” Kamil said of #BLESSED. “I feel like I learned a lot from listening to people talk and write about this production, and have very strong feelings one way or another.” Cornell proposes an intense work session to move the play forward, “a retreat into the mountains one day, in a couple of months,” to rework the script.